Even the highest-quality audio systems wear out over time, especially if you like to listen to your music at a high volume. 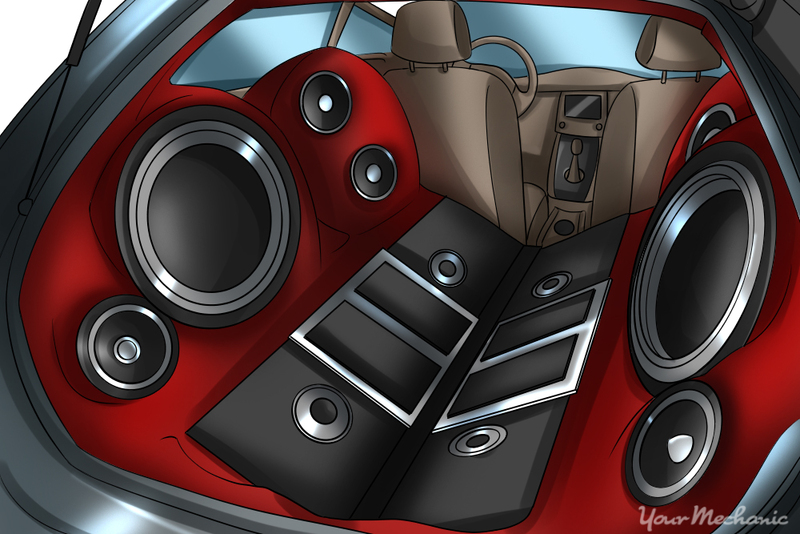 If your car’s speakers seem muted or if they are not working at all, you need to check if one or more of your speakers are blown, so that you can have them repaired or replaced. The first step you should take before replacing a speaker is determining exactly which of your speakers has sustained damage. You can do this simply by listening to them. You should be able to easily identify a speaker with an issue by the sound it makes. Step 1: Turn up the volume. 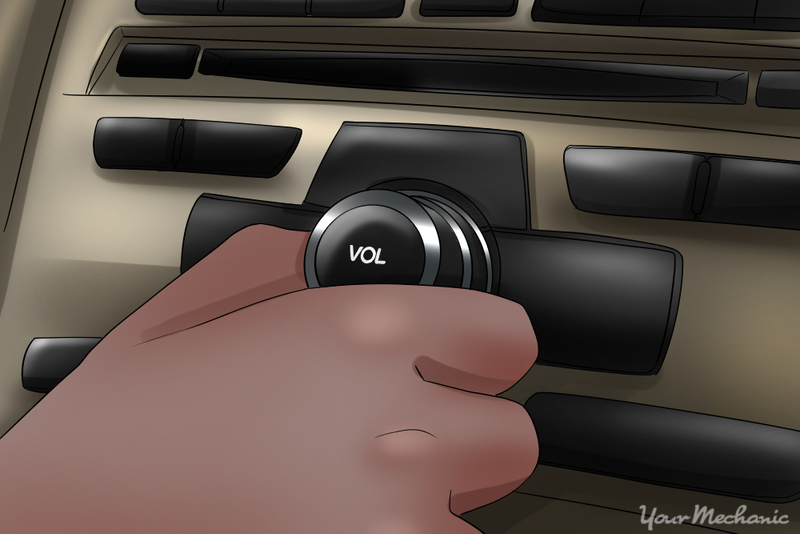 Turn on your vehicle's radio, and turn up the volume. Listen for any distortion in sound quality, such as a hissing sound. If a speaker is blown, the distortion should increase as you turn up the volume. Listen to each of your speakers to determine which of them are blown. Step 2: Test your system's range. Select a song from your CD or MP3 player that has a full range of sound, especially a strong bass. Under-performance, such as no high frequencies or bass, is a sure sign of a blown speaker. Step 3: Check the treble and bass. After checking the system’s ranges, assess the treble and bass on your system. Tip: Make sure that each one is right in the middle of the range. Otherwise, the lack of sound may come from the settings rather than a problem with the speaker. Step 4: Listen for sound issues. Listen to the overall sound from your speakers and check for any crackling or rattling noises. You may also hear a shaking sound. Rattling from the woofer can indicate a fully blown speaker. Popping may indicate that your tweeter has gone bad. Tip: Touch the large speakers to see if you feel any vibrations. This tells you they are working actively. Smaller speakers may not create vibrations even when they are working. Once you have identified which speaker or speakers are having issues, you can check them further with a multimeter. Warning: Always practice safety while working with electrical equipment to avoid any chance of injury. Do not use or connect tools into a speaker that is still connected to power. Tip: This is also a good time to check their connections to see if there are any loose connections or other problems. The fix could be as simple as tightening up a loose wire. Step 1: Disconnect the speaker. Unscrew the speaker from its mount. 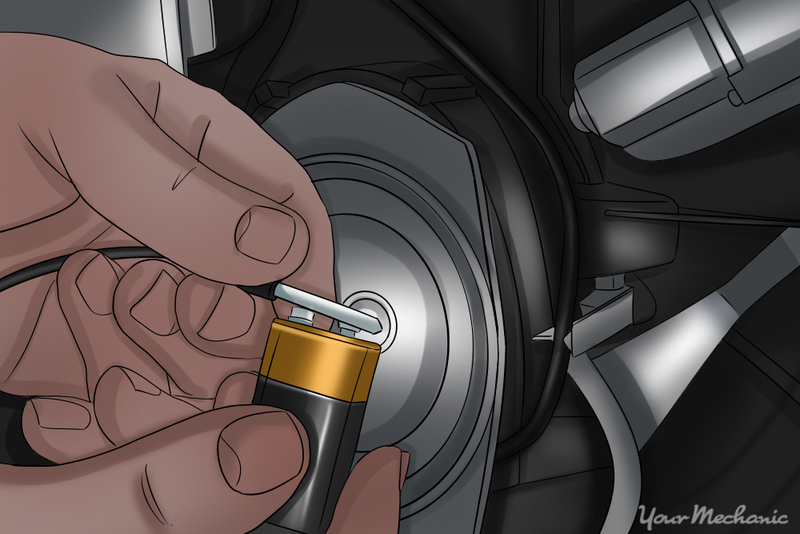 Remove the wires from the audio system, and with them still attached to the speaker, attach them to a 9-volt battery. You may hear a popping sound coming from the speaker. This means the speaker is working. If there is no sound, that indicates the speaker is blown. Step 2: Check the speaker for vibration. Remove the cover from the speaker, and connect the wires to the battery again. Watch to see if the cone moves. If it does, that indicates a problem with the connection rather than a blown speaker. Step 3: Check the speaker with a multimeter. Use a multimeter to test the speaker. 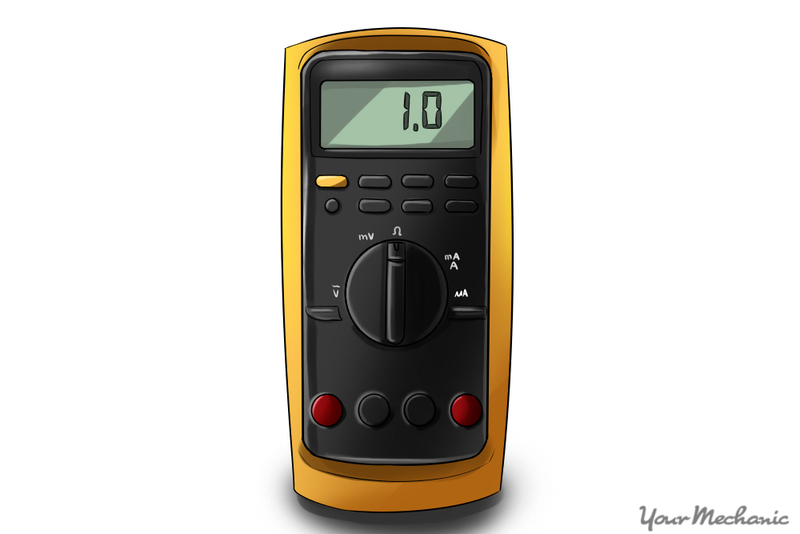 Tip: A typical multimeter usually measures voltage, current, and resistance. Attach the multimeter to each terminal of the speaker where the wires attach. If the multimeter reads 1.0 ohms, the speaker is working. If it displays a reading of infinite ohms, the speaker has been blown. Step 4: Determine the amount of damage to the speaker. The amount of damage will determine whether you need to repair or replace the speaker. Look for any tears or holes on the speaker. You can repair small tears with a sealer that is designed for use with speakers. Replace a speaker that has a large tear or hole. Step 5: Repeat these steps with any other speakers. Repeat the above with any other speakers that have sound issues. Tip: Check all of your speakers at the same time so that you can identify any issues correctly and replace them all at once, if necessary. Extensive damage may mean you need to replace your entire speaker system. Listen to your speakers periodically and if you notice any difference in the audio quality you can identify any speaker problems early on and fix them. If you are not sure about the cause of the problem, you can ask an expert audio technician to check your radio system and diagnose the problem before you spend the money to replace some parts or entire speakers that were perfectly alright in the first place. Skip the repair shop, our top-rated mechanics come to you. Choose from 600+ repair, maintenance & diagnostic services. Our top-rated mechanics bring all parts & tools to your location. See labor & parts costs upfront, so you can book with confidence. Our services are backed by a 12-month, 12,000-mile warranty for your peace of mind. How Do Power Car Windows Increase Passenger Safety? How Long Does a Vacuum Brake Booster Check Valve Last? How Long Does a Throttle Return Spring Last? Our certified mobile mechanics make house calls in over 2,000 U.S. cities. Fast, free online quotes for your car repair. Q: How do I use the steering wheel to adjust the volume? 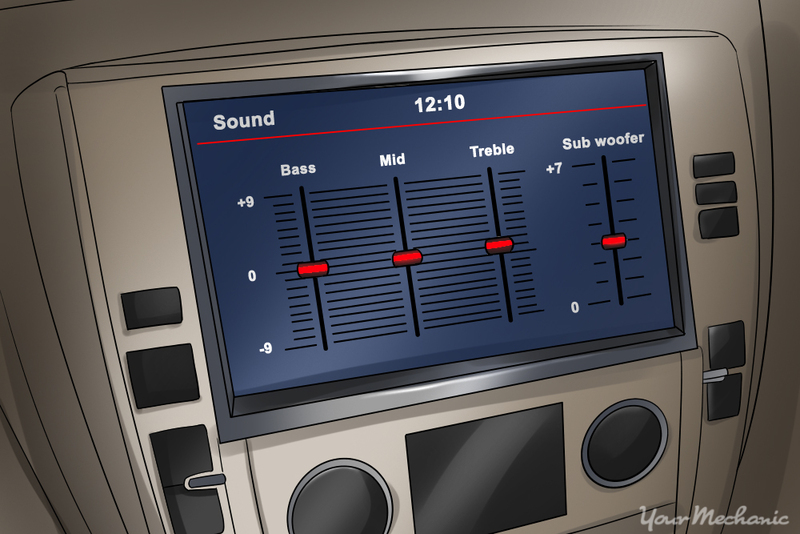 Q: How many amps should my car's alternator have for a audio amplifier?